Korres is a Greek skincare brand combining science, innovation and nature to create advanced natural formulations that deliver maximum results. 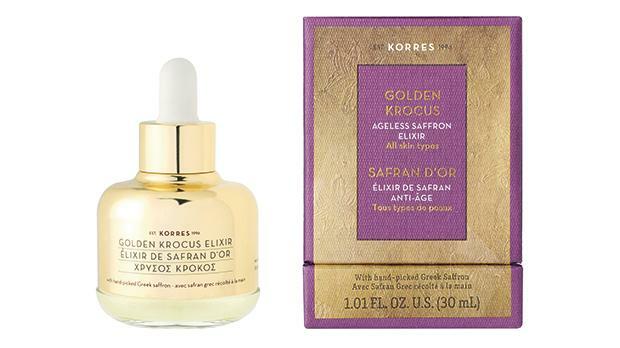 Korres’ Golden Krocus is a precious golden serum infused with one-day fresh Greek saffron to universally correct all signs of ageing. It lifts, strengthens, smoothens, plumps and brightens the skin, while reducing the appearance of wrinkles. This powerful booster is for all skin types and concerns for ageless, youthful and glowing skin. Korres is now in Malta and available in all Remedies Pharmacies: Sliema, Ta’ Xbiex, Birkirkara, Siġġiewi and Mellieħa. Find ‘Korres Malta’ on Facebook and Instagram.